As a young naval officer, one of the recurring themes that was instilled early on was that you will get what you inspect. The way to get good results was to inspect things yourself – frequently and often. This was true of uniforms and conditions on a ship. Inspections instilled a discipline and a subtle message: We know, we care, and we expect things to work well. On board ships that are at sea, there is a team of watch standers, each performing different roles and constantly monitoring the ship’s condition, location, seaworthiness, and battle readiness. If you want to be sure that sailors and ships are ready to perform their duties, inspect their condition. Watch, observe, and carefully note when things change. It is much easier and more desirable to solve issues when we identify them, rather than allowing them to grow into larger problems that threaten battle readiness. In the technology profession, we tend to avoid issues we encounter in a project until they become major problems. “The project manager will handle that” or “I am just going to put my head down and code” are some of the reasons why. If we truly care about delivering technology solutions that meet our customers’ needs on time, we need to address issues when they arise. Otherwise, we are just irrationally hoping things will go our way, and that the issues will not cascade into a death march. Modern software projects, like ships, can be extremely complex. One of the failure points in software projects is that all too often we cannot see when things change for the worse. Problems are frequently hidden and linger because we don’t look for them, particularly in long projects. Scrum or Agile processes insert inspection as a key discipline into every technology project. With the team looking at variances every day and measuring their progress, issues or obstacles are identified on the spot. When we find them, we shine the bright light of day on them, and we make everyone aware of them. And, as a result, well-run Agile and scrum teams experience much higher rates of on-time delivery. We don’t wait on problems, issues, or obstacles to snowball into larger ones that lead to costly delays. We go out and find them, address them quickly, and move forward based on the best information available at that moment. There are many other examples of things we inspect regularly when performance is important. Fire departments inspect their equipment daily because it is safety critical. Medical devices have a regular inspection cycle. Passenger aircraft have regular inspection cycles, and if they don’t pass a preflight inspection the issue is fixed - or they don’t fly. Are you getting what you expect from your team, or are your customers consistently disappointed with your delivery? Do your instincts tell you that there are there hidden issues and problems that might end up derailing your project down the road? Do you know enough about the issues and challenges that your project is facing at a level of detail that allows you enough time to address them before delivery is delayed? Software projects don’t fail because the technology we use is faulty. Code compiles and performs in a predictable, consistent manner. The tools we use in technology perform as advertised and deliver predictable results. We must provide the intelligence and expertise to make them work correctly, and this includes being prepared for the inevitable challenges that arise. Undoubtedly there is a lot of complexity and uncertainty to manage in technology projects. Business demands change, scope creep is constant, and expectations are often high. We need to step up and lean in when things begin to go wrong, rather than relying on ways of working that mask issues until they are delivery-impacting challenges. Looking for problems may seem counter intuitive, but high-performing teams make a practice of it. They have learned that the way to avoid trouble is to aggressively seek it out, identify it, and remediate it as early on as possible. Perhaps we should all be “looking for trouble." Inspection is one proven way to find it – and to improve the value we bring to the organizations we serve. 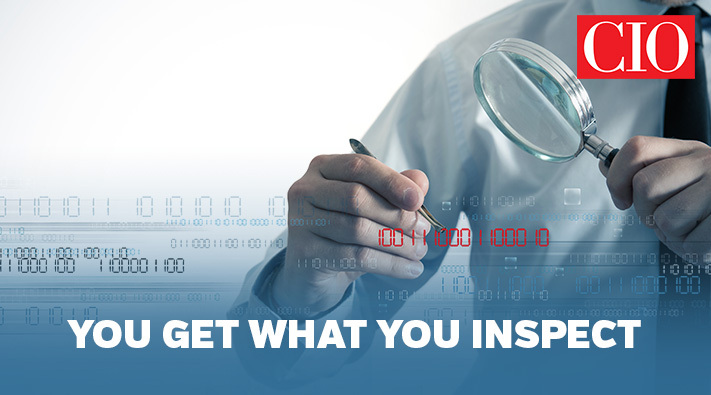 Matt McBride's blog post You Get What you Inspect first appeared on CIO.com. Let’s continue the dialogue: Subscribe to the Genesis10 blog. Matt McBride is Executive Vice President of Digital Transformation at Genesis10. 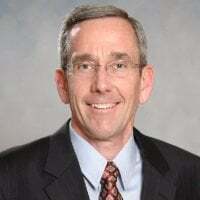 Known for building trusted partnerships, he has led Agile and Scrum Transformations at Fortune 100 companies. Previously Matt served as the CIO for 1st Global Resources. Matt believes passionately that people are bright, talented and creative and can accomplish great things. He is an Adjunct Professor teaching leadership, software architecture, and software design courses for graduate level programs at Southern Methodist University in Dallas. He is the author of the book Leadership Patterns for Software and Technology Professionals and, more recently, the white paper, Agile Transformation, Driving Competitive Advantage with a Tailored Agile Maturity Model. Matt regularly contributes articles to industry publications, The Enterprisers Project, CIO.com and InformationWeek.